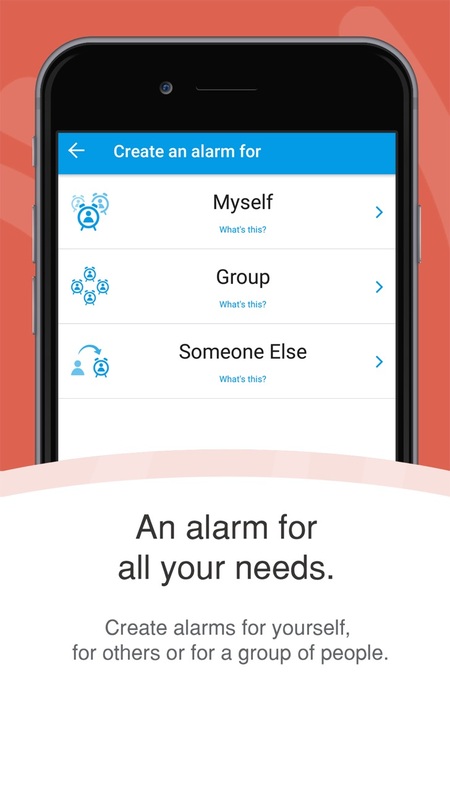 Galarm is a FREE social alarm clock app that enables you to create and share alarms and reminders with your contacts. It acts as your daily planner and enables you to manage your tasks efficiently. 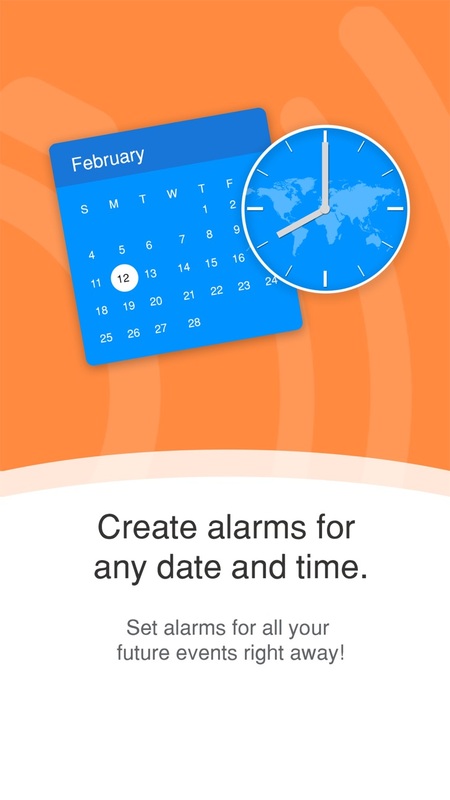 • ANYTIME, ANYWHERE: Create alarms for any date and time and use Galarm as your mobile calendar. • FLEXIBLE REPETITION: Set alarms to repeat hourly, daily, weekly, monthly, or yearly to efficiently manage your to do list. Create reminders for taking your medicine 3 times a day, your yoga class every day, paying your rent on the 1st of every month and other such repeating activities. • PERSONAL ALARMS: Set reminders for yourself such as morning wake up alarm and medication reminder. Add participants to alarms that you normally miss. Participants can remind you of your tasks, if you miss them. • GROUP ALARMS: Use a group alarm as an event planner for outings, parties, or any other social activity. The alarm goes off at the same time for all the participants, and they can confirm or decline, and chat with each other to coordinate. • BUDDY ALARMS: Create alarms for someone else (“buddy”) to remind them of things they need to do. Buddy is reminded of the task at the time of the alarm. You are notified to remind the buddy in case they miss the alarm. You will also be notified once the buddy marks the alarm done. • NOTIFICATIONS: All your notifications and alerts in one tab. • ALARM HISTORY: See the previous responses for repeating alarms. This allows you to see how many times you missed that gym class or that important medication. • ALARM CHAT: Each alarm has its own chat to keep the conversations private to that alarm. • BLOCK A USER: Don't want to be bothered by a not-so-special someone? Galarm allows you to block a user, so you do not receive any alarms from them. • ADAPTS TO YOUR TIMEZONE: Whether you are on the move or participants are in different time zones, the alarms follow time zone changes. • INSTANT NOTIFICATIONS: You are notified of any Galarm activity such as chat messages, new participant alarms, or group changes instantly through remote notifications. • FREE CLOUD STORAGE: All your alarms are stored on the cloud, so when you switch phones, your alarms appear instantly when you reinstall the app. • WORKS OFFLINE: Create and edit alarms even if you are offline. Changes are synchronized as soon as you are online! • SPANISH language support: Galarm soporta español también! • NO USERNAMES, NO PASSWORDS: Why burden yourself with having to remember yet another username and password? Galarm works with your phone number, much like SMS, and integrates with your phone’s address book. Download this innovative alarm clock app and start galarming today! Bug fixes and application stability enhancements.